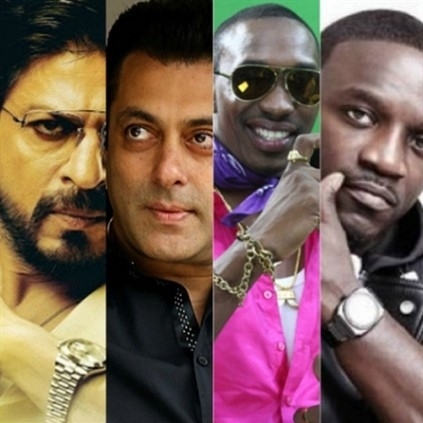 SHAH RUKH, SALMAN, AKON AND BRAVO FOR A FILM? Tum Bin 2, is making a lot of news currently, now that the director has made a statement suggesting the possibility of a Shah Rukh - Salman joint cameo in the film. "Bhushan has ambitious plans for the film. He is close to both the Khans, so, you never know, he might just be able to pull off a coup even though it may be for a cameo," director Anubhav Sinha told a leading daily. Apparently, both the star Khans had tweeted promotional content about the film, which gave rise to speculations about their cameo possibility. Tum Bin was director Ra.One director Anubhav Sinha’s debut directorial with new faces in the year 2001 which also enjoyed positive reviews at the box office. Fifteen years later, Sinha is teaming up with producer Bhushan Kumar for its sequel. The movie’s cast include Aditya Seal, Neha Sharma, Aashim Gulati. The film features Bravo in a song and reportedly also hopes to rope in Akon for a song. Latest exciting update about Rajini-Ranjith project! Mankatha actor gets a clean U for his next! What are Selva and Santa up to? Audio launch in a huge stadium! People looking for online information on Salman Khan, Shah Rukh Khan, Tum Bin 2 will find this news story useful.